Why review a book covering meetings on a blog about coaching? Two reasons really. 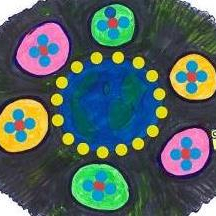 Firstly, if you’re coaching in an organisational context, much of your coachees’ precious time will be spent in meetings. When run badly, meetings can seem to be a waste of that irreplaceable resource, and cause a great deal of disillusionment. Secondly, the book in question is so much more than a simple rehash of meeting tips and tricks. 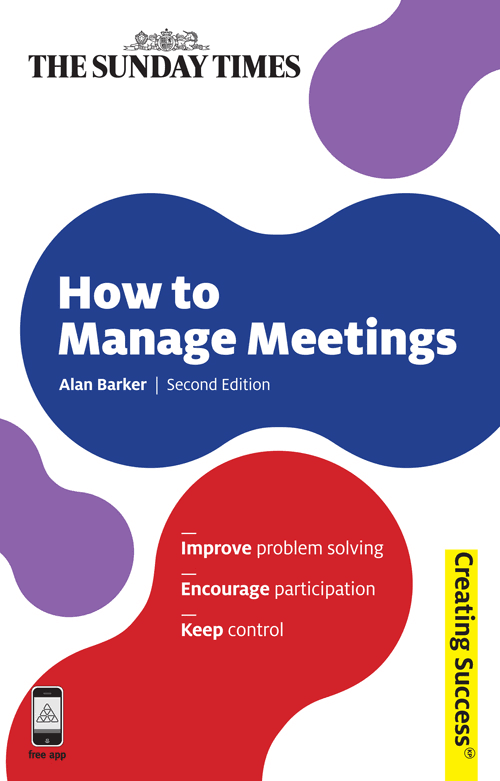 In How to Manage Meetings, Alan Barker packs within a surprisingly few pages insights into significant features of meetings we don’t normally think enough about. Although the title of The Financial Times Guide to Business Coaching (published 2011) seems to imply this book’s remit is purely related to coaching in the world of business, to my mind it’s a rare gem which gives a comprehensive yet entertaining whistle-stop tour round all things coaching for anyone seriously interested in the subject. That’s not to suggest it’s shallow, for shallow it certainly isn’t. It’s to say that if any coach reads this volume carefully, she or he will have more than a thorough introduction to many practical coaching-related subjects, as well as the pleasure of being entertained along the way. At just over 230 pages, this is not a big read. However, given the amount of ground it covers and the amount of attention many of its sections warrant, it’s not an inconsiderable read either. What sugars the pill is Anne’s authorial voice – one of wit, candour and mischievousness. This is a refreshing combination, and one I think we could do with more of. Richard E. Nisbett’s The Geography of Thought. How Asians and Westerners Think Differently… and Why isn’t a book about coaching. So why discuss it on a coaching-orientated blog? It’s only when you’ve started reading Pete Mosley’s The Art of Shouting Quietly. A Guide to Self-Promotion for Introverts and other Quiet Souls that you begin to appreciate fully the point of the book’s subtitle. ‘Self-promotion’ is typically what people with loud voices and larger-than-life personalities are thought to ‘do’. Pete takes us into a different world – the world of the ‘Quiet Soul’. The Quiet Soul may avoid self-promotion like the plague, and may also appear to be unobtrusive, even unremarkable. Yet such a soul can have much more to offer than meets the eye, with a depth and subtlety which is drowned out in a world that values noise above substance. Recognising this, Pete has quietly challenged many (often in the arts and crafts) to find the inner confidence to believe in the value they can bring to society by pursuing their dreams, and by turning those dreams into successful businesses. Are you new to the idea of coaching? A coach in training? Or an ‘old hand’ who thinks you’ve been coaching all your life but never got round to formal study? Well, if you’re looking for a reliable overview of the field of coaching, Excellence in Coaching: The Industry Guide (3rd Edition 2016) is the book for you. Edited by coach psychologist Jonathan Passmore and endorsed by the Association for Coaching, this volume brings together introductory articles by top thinkers and practitioners in their fields. You won’t become a professional coach based on reading what’s between these covers, but you’ll certainly be more informed about standard definitions and theories, as well as know where to turn to next. Read the book straight through or dip in here and there to learn about particular topics, it’s up to you. Either way, you’ll find something to educate you and make you think.